Aalto University One of the six schools in Aalto University is the School of Science (SCI) where the Department of Computer Science and Engineering (CSE) is located. SCI is the biggest school of Aalto and SCI´s annual turnover is 115 M€, out of which appr. 50 % is related to research. CSE has 18 professors. The research at the department of Computer Science and Engineering (CSE) cover a broad range of topics in applied computer science and software engineering. The areas of interest include all layers and phases in the development of software-based systems and the new, often revolutionary applications and services enabled by software. Both our research and education are characterized by constructive and experimental approaches, and by close connections to the software and ICT industry. Many of our projects are multidisciplinary taking advantage of the opportunities created by Aalto University. Bittium specializes in the development of reliable, secure communications and connectivity solutions, leveraging its 30 year legacy of expertise in advanced radio communication technologies. Bittium provides innovative products and customized solutions based on its product platforms and R&D services. 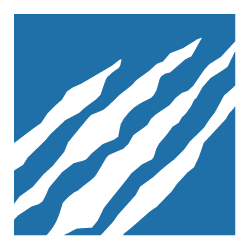 Complementing its communications and connectivity solutions, Bittium offers proven information security solutions for mobile devices and portable computers. Capricode is a privately owned Finnish technology provider, founded in 2002, offering a globally proven and U.S. patented mobile device management (MDM) solution SyncShield® for Service Providers, Integrators, Enterprise Customers, OEM and Technology partners, who have the combined need for mobile security, dedicated application management, file management and / or settings and asset management. 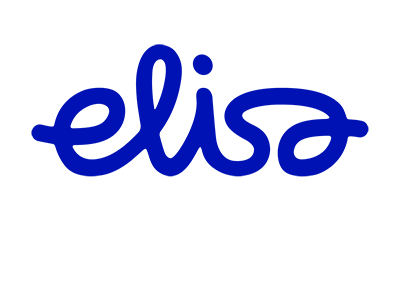 Contrasec is a small ITC-infra consulting and training company. Our specialities is high secure and high availability environments. We have special hosting services and we have trained CyberWar more than ten years. DIMECC founded in February 2008, (formerly known as Digile) is a non-profit Finnish limited company. The bedrock of all of DIMECC’s activities is the capital that the 46 organisations, or partners, which own DIMECC (including companies, university and public bodies) invest in it. DIMECC brings together important research programs or projects, thereby giving those involved a framework in which they not only benefit from the wide rage of partners involved, but in which they are also able to work together developing know-how – and thereby increasing the pace of the birth of innovations. Elisa is listed on NASDAQ OMX Helsinki Large Cap with over 200,000 shareholders.Elisa Corporation is an international telecommunications, ICT and online service company serving 2.3 million consumer, corporate and public administration organization customers. ELISA’s vision is to become an International ICT and online services provider and the brand of excellence.Elisa provides services for communication and entertainment, and tools for improving operating methods and productivity of organizations. In Finland Elisa is the market leader in mobile subscriptions and fixed broadband subscriptions. Cooperation with Vodafone and Telenor enables international use of services. F-Secure Innovation, reliability and speed of response – these are the qualities that have made F-Secure one of the world’s leading IT security providers since the company was founded in 1988. F-Secure is the global leader in providing security as a service through operators and is now also expanding into the Content Cloud space. We protect our customers’ irreplaceable digital content and online interactions, anytime, anywhere, on any device. F-Secure’s Content Cloud and Internet Security services are available through over 200 operators in more than 40 countries around the world and trusted in millions of homes and businesses. University of Helsinki The University of Helsinki is the most versatile research university in Finland, with teaching based on top research. In global research university rankings, the University of Helsinki is among the top 10 or 15 European universities. The Department of Computer Science at the University of Helsinki is known for its quality research and teaching. The Ministry of Education elected the Department as one of the national centers of excellence in university education from the year 2007 to 2012. The research at the department combines theory with interaction with the application fields in a well-balanced whole. JAMK University of Applied Sciences is a multi-disciplinary non-profit institution of higher education owned by public bodies and financed by the Finnish Ministry of Education and Culture. The number of students is about 8000 and the number of staff is about 750. JAMK is one of the largest and most popular universities of applied sciences in Finland.The budget of JAMK is about 61 M€. JAMK has received recognition from the Ministry for over ten years of success in various areas, and has also been awarded a quality assurance certificate. JAMK cooperates with companies and organizations at regional, national and international levels. Its RTD work aims especially at the promotion of SME entrepreneurship and public sector, and the improvement of their operative preconditions. Jyväskylän Energia Jyväskylä Energy Group is the local electricity, water and district heat provider owned by the City of Jyväskylä. With its subsidiary companies the Group produces, sells and distributes electricity, district heat and water. 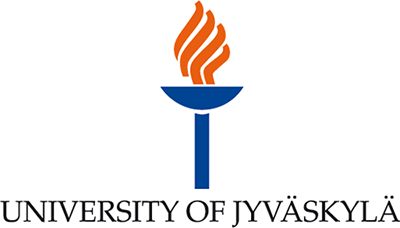 University of Jyväskylä is a nationally and internationally significant research university and an expert on education that focuses on human and natural sciences. The Faculty of Information Technology plays a key role in developing one of the University’s core fields, human technology. At the Department of Computer Science and Information Systems (CSIS), information systems and software engineering are studied from four major perspectives: technological, human, business, and information. The leading research area of the department is Information Systems, and information Systems Security. At the Department of Mathematical Information Technology (MIT) the object of teaching and research is the effective automation of information processing. Main areas of research are scientific computing and its technical applications, software engineering, telecommunication, embedded systems, mobile computing and teacher education. Keski-Suomen Sairaanhoitopiiri. 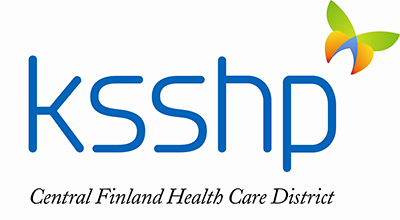 Central Finland Health Care District (KSSHP) provides health-related services for the inhabitants of Central Finland. KSSHP is the largest non-university health care district in Finland being Finland’s fourth largest health care district. It provides services for 21 municipalities. KSSHP is building a new Central Hospital in Jyväskylä. The New Hospital is planned to be opened in 2020. The hospital will be based on a new type of patient centered and process oriented care. All of the hospital functions and patient care processes will be based on effecftive and advanced ICT. MPY MPY Oyj, (Mikkelin Puhelin Oyj), is a service developer with focus of selected services for industry and households. It is also a regional telecom-operator and service provider in Finland that operates on multiple locations. In addition to provide traditional telecom and network operator’s services MPY offers variety of services for industry, private business, communities and households. MPY Oyj also maintains itself over 200 buildings or similar property. The main concept is to enable clients to get all the ICT services and support they need from single service provider. 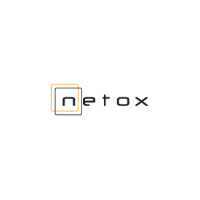 Netox is a Finnish IT service provider. It offers corporate customers both in Finland and abroad IT support and specialist services, hardware and software solutions, and high-availability and secure cloud services. Netox invests strongly in continuous competence development. The head office is located in Oulu. Netox has partners and subcontractors in Finland, Russia, Sweden, Estonia, Norway, the United States, Oman, and China. 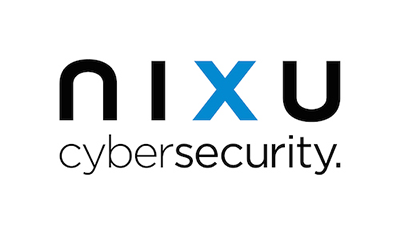 Nixu We are Nordic’s largest specialist company in information security consulting. Nixu advises, builds, develops and inspects its customers’ information security capabilities as an independent advisor. Our goal is to ensure the continuity of our customer’s business and internet services by anticipating and preventing information security-related risks. We employ over 100 experienced information security consultants, technical experts and software developers, who form Nordics’ leading cluster of information security expertise. Pardco Group offers secure datacenter services. We have few primary business lines cloud servers and dedicated servers. We help design, build, and operate workloads across both environments depending on the individual needs of the customer. We have widespread cooperational and operational networks, yet we are independent from the services of other equipment and solution suppliers. An open operational environment and tailor-made solutions guarantee the possibility to combine the best technologies and the assembly of the equipment flexibly according to client’s needs. 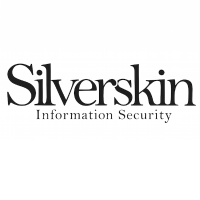 Silverskin Silverskin Information Security is a SME focusing on information security and business assurance. Silverskin has vast experience in development and audit of information security management models, technical controls and governance processes for external and internal corporate customers. Softera provides its customers with a competitive advantage and creating new opportunities for sales, production and service management solutions for service providers. Our product portfolio consists of product management and billing (Business Support System BSS), Business Intelligence, contact management and messaging software solutions and associated services. Our solutions help our customers have the information on their products, their own end customers and how their products are used by customers. Except for the billing of this information can be used in BI solutions enable the processing of pro-active customer contact at the interface to the allocation of sales and customer experience in all. 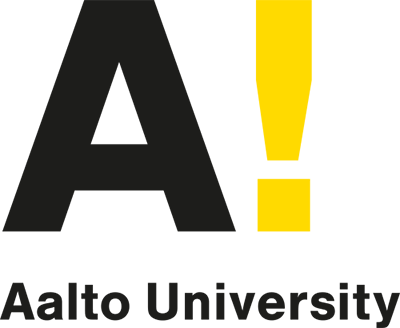 Space Systems Finland is a software engineering company specialised in safety-critical software. SSF develops safety-critical systems for industry leading customers in space, defense, nuclear, medical and machinery. SSF’s focus is on maximising the added value to the customers by providing superior expertise and cost-effective solutions. Working together with our customers, SSF can ensure that risks are managed and products fulfill safety and market demands. Tampere University of Technology (TUT) is an active scientific community of 2,000 employees and more than 10,000 students. The University operates in the form of a foundation and has a long-standing tradition of collaboration with other research institutions and business life. Many of the fields of research and study represented at the University play a key role in addressing global challenges. Internationality is an inherent part of all the University’s activities. TUT has four thematic research areas: Digital Operating Environment, Energy- and Ecoefficiency, Industrial Competitiveness, and Health Technology. Information security is offered as a study option (major) for a number of MSc level degree programs. The Academy of Finland has given infrastructure funding in the FIRI 2013 call to TUTCyberLabs for the development of an experimental environment dedicated to the research and teaching of cyber security. University of Oulu is one of the largest universities in Finland with an exceptionally wide academic base. Internationally pioneering research is conducted as a collaboration of different disciplines. The fields of information technology, biotechnology, northern and environmental issues have been defined as special research focus areas. The University cooperates closely with industry and commerce, and has broad connections with hundreds of international research and educational organisations. Oulu University Secure Programming Group (OUSPG) investigates, tests and creates testing methods for software-implementation and operating-system vulnerabilities. The goal is to prevent, find and fix implementation-level vulnerabilities with proactive methods. University of Turku is a multidisciplinary university consisting of 7 faculties, over 200 professors, 3,300 staff members and over 20,000 students. the department of Information Technology has approximately 80 staff members producing degrees both in Engineering and Science, covering the IT field broadly (software, communication systems, embedded systems, security, computer science, intelligent systems). The department of Information Systems at Turku School of Economics at UTU has approximately 40 staff members producing degrees in Economics and business administration, covering the management and organizational aspects of IT and IS broadly. VTT VTT Technical Research Centre of Finland is a non-profit government organisation established by law and operating under the auspices of the Finnish Ministry of Employment and the Economy. VTT is a multi-technological research organisation providing high-end technology solutions and innovation services. VTT’s Digital Services and Systems Expert Area develops solutions and technology to support businesses to reach full potential of the digital economy. VTT’s cyber security research supports the digital economy by advanced security methods and techniques together with industry – varying from critical infrastructures to digital services and from hardware solutions to cloud based applications. Åbo Akademi University is an internationally acknowledged research university with an extensive responsibility for providing education in Swedish in Finland. The activities cover research and education in most disciplines from the humanities to natural sciences and technology. The abundant supply enables multidisciplinary entities in both research and education. Åbo Akademi University has a strong position on the Finnish educational market, in the interaction with society and business life, and in international research. The Department of Information Technologies (IT) is part of the Division of Natural Sciences and Technology at Åbo Akademi University. The IT Department provides education in Computer Science, Computer Engineering and Information Systems. The research and education is performed in cooperation with Turku Centre for Computer Science (TUCS).